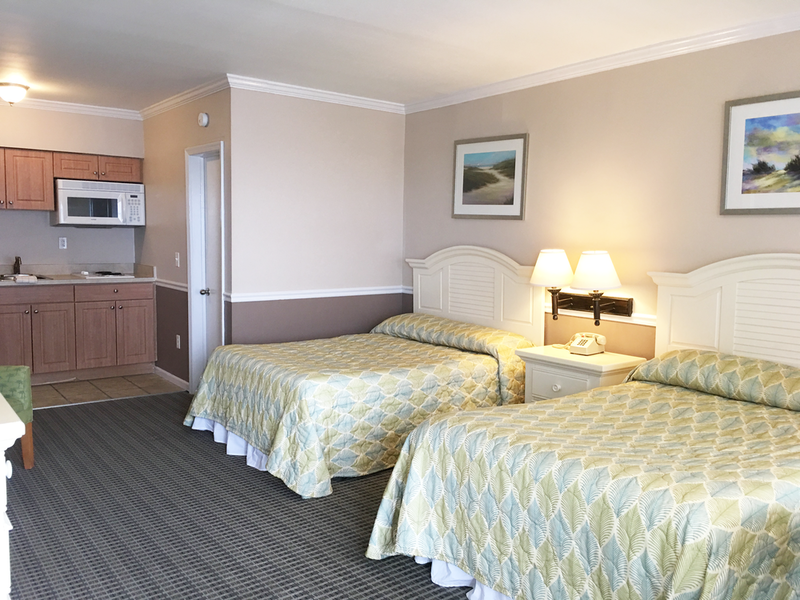 The Aqua Beach Hotel's rooms offer a blend of casual coastal design and comfort. Contemporary beach style furnishings are balanced with warm coastal elements of the shore. 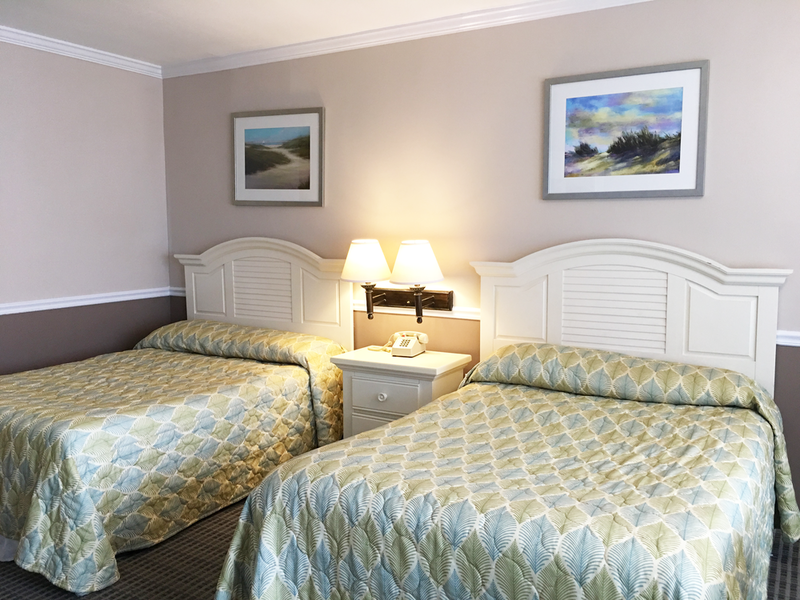 Well-appointed guest rooms offer either a walkway or private balcony that have fantastic views of the Atlantic Ocean. Please see below for further details on each room type. Pool access is for registered guests only. Reserve your stay today! The Fiji Unit is a brand New Room Style for the 2018 Season! 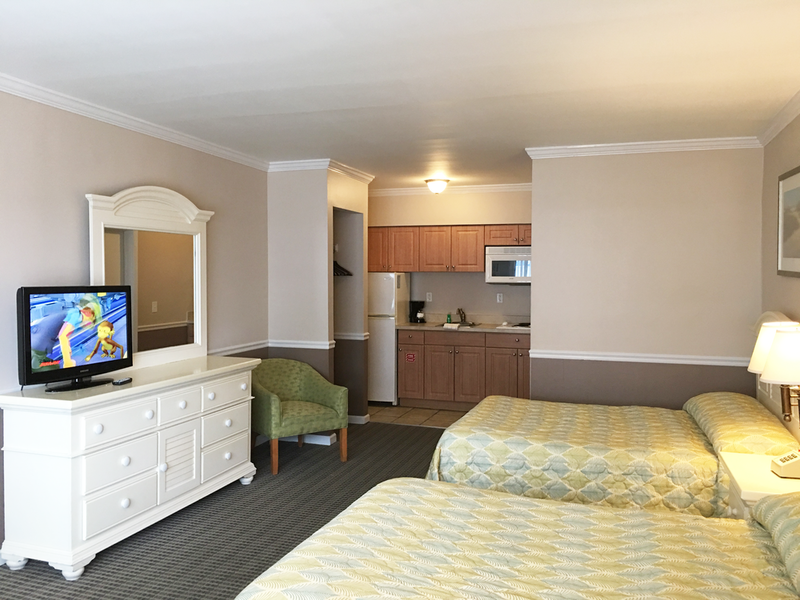 The Fiji Unit has Caribbean style tiled floors, a large king size bed, 38-inch flat screen tv, tiled table with two chairs, spacious (ADA) bathroom, stainless steel mini refrigerator, stainless steel microwave, and a coffee maker. The Jade Unit is an ocean view one room efficiency with two double beds and flat screen TV. The kitchenette is equipped with a coffee maker, toaster, microwave, refrigerator and stovetop (dishes, silver wear, cups/glasses for 4 guests). The Jade Units were renovated in 2017. The Indies Unit is just feet from the beach. 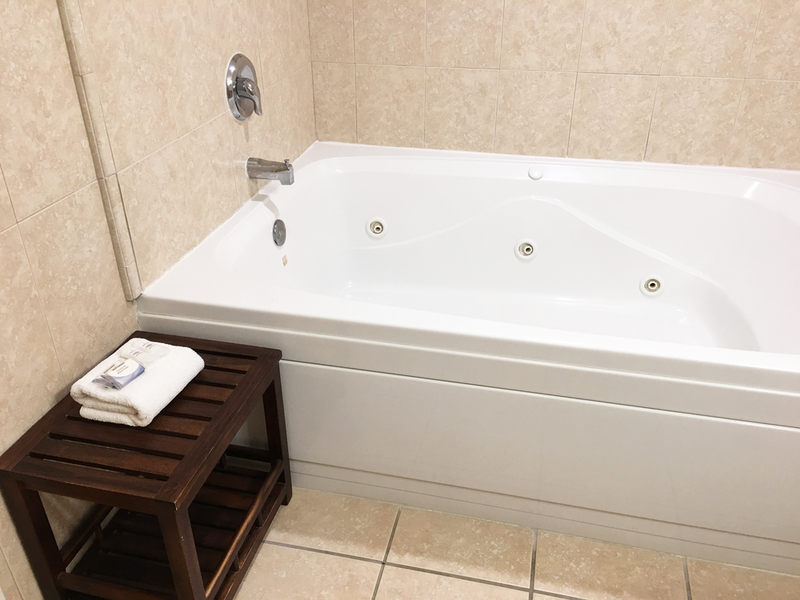 This one room efficiency has a king size bed, queen size sleep sofa, spa for two and separate stall shower. 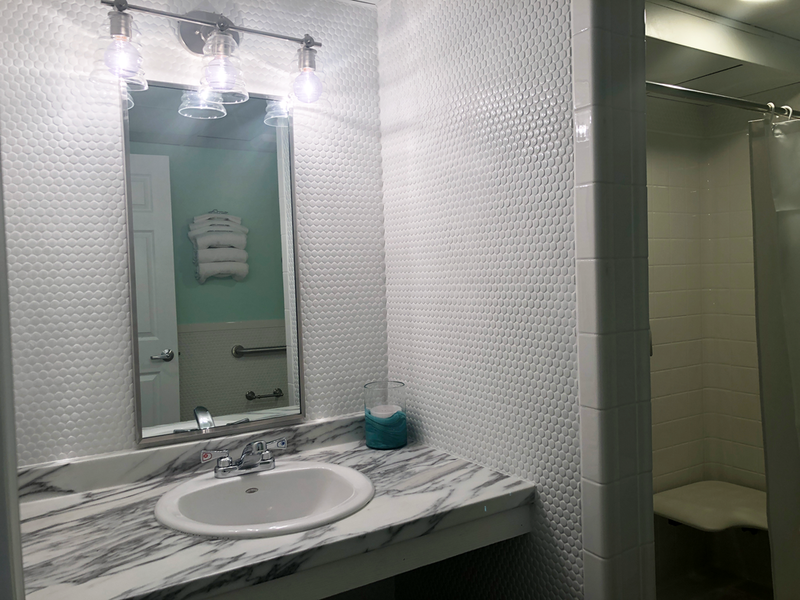 The kitchenette is equipped with a coffee maker, toaster, microwave, half size refrigerator and stovetop (dishes, silver wear, cups/glasses for 4 guests). The Indies Unit has tropical tile floors, rich Caribbean furniture and a flat screen TV. The Indie's Units were renovated in 2017. 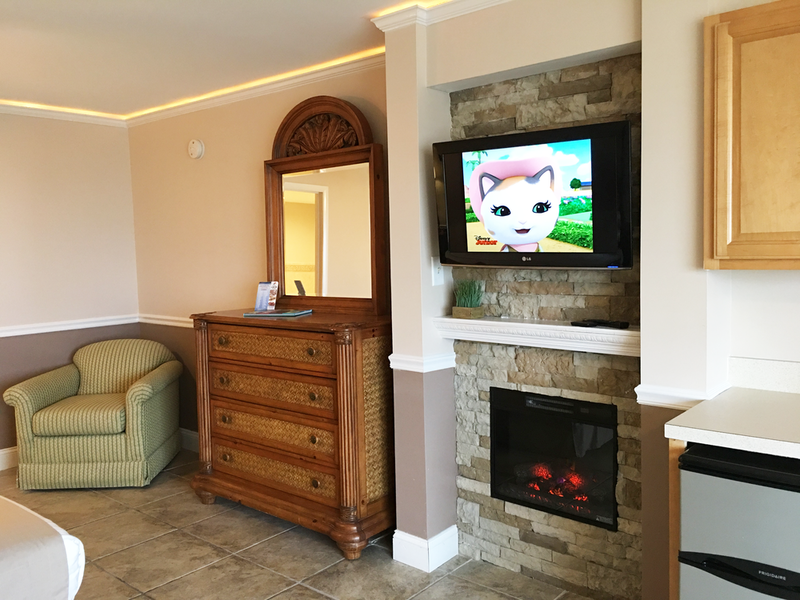 The Caicos Unit is a luxurious two bedroom suite with two double beds in one room, a queen size bed in the second bedroom and a sleep sofa is the living room with central AC & heat. 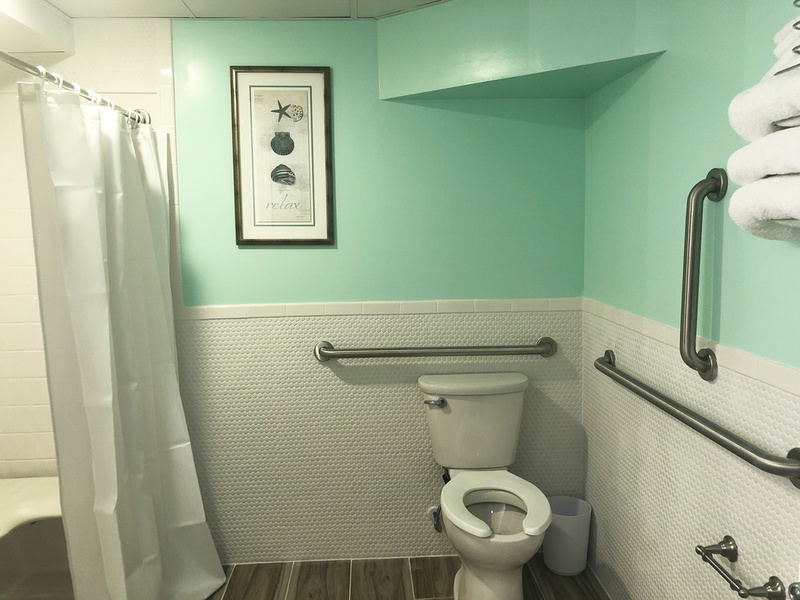 The Caicos Unit features two full bathrooms and three flatscreen TV's. 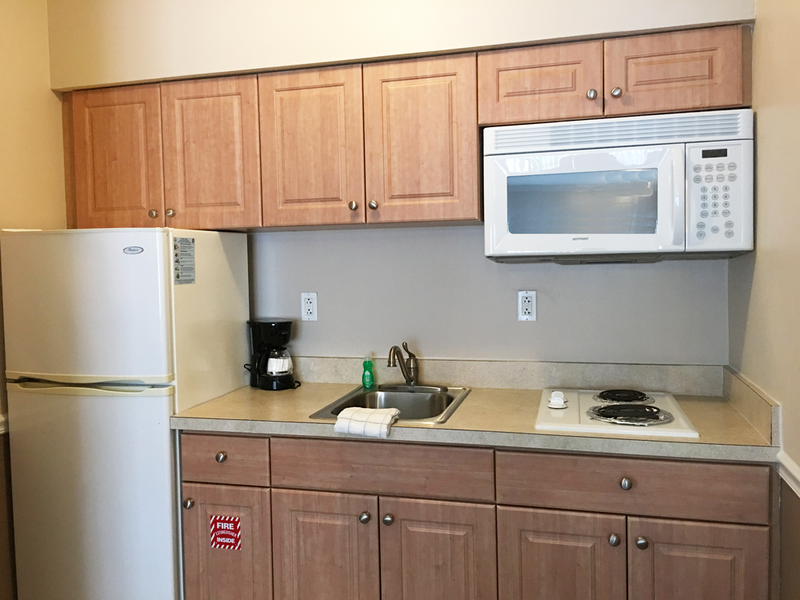 The kitchenette is equipped with a full size refrigerator, oven, four stovetop burners, microwave, toaster, and coffee maker. The Caicos Unit also has 3 private balconies, one facing west (town view), and two private balconies giving you a southern view with beautiful ocean views. Finally your common balcony at your entrance to The Caicos Unit gives you an additional final balcony with a view of the pool.